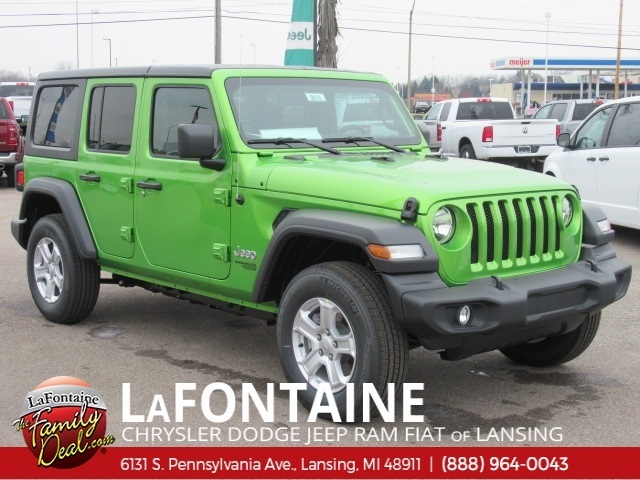 2019 Jeep Wrangler Unlimited Sport S Mojito! Clearcoat, 7.0" Touchscreen Display, Apple CarPlay, Heated Steering Wheel. Priced below KBB Fair Purchase Price! We use state-of-the-art software to price our vehicles to be the most competitive in the market. 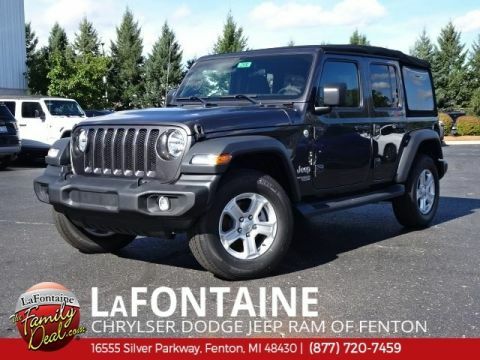 If you have found a better value, let us know about it. We would love the opportunity to keep giving the best values in the market. 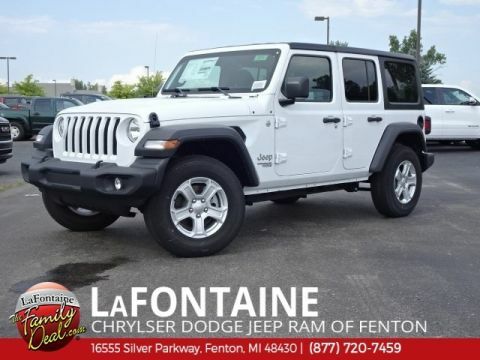 Contact our Sales Department at (800) 863-6343 with your questions and to set up an appointment to experience the Family Deal at LaFontaine Chrysler Dodge Jeep RAM FIAT of Lansing, where it's not just what you get - it's how you feel! NOTE: All Equipment Listed May Not Be Available. 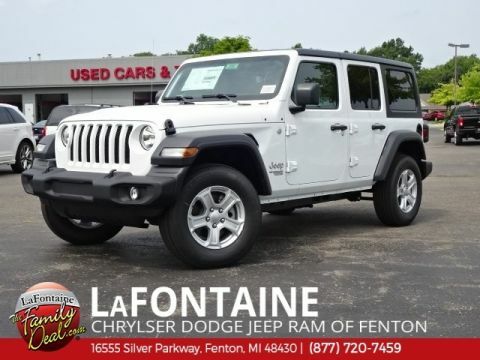 Price includes FCA employee discount. Must have valid FCA employee control number to qualify.